Our cottages all consist of a main bedroom with en suite bathroom (shower only), hairdryer, air conditioning, tea/coffee making facilities & mini bar fridge. 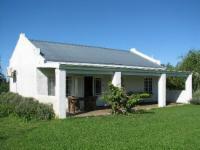 All cottages set on 5ha of rolling lawns and each has its own veranda. If cancelling 7 days before arrival, forfeit 100% of the booking total. If cancelling 14 days before arrival, forfeit 75% of the booking total. If cancelling 21 days before arrival, forfeit 50% of the booking total.